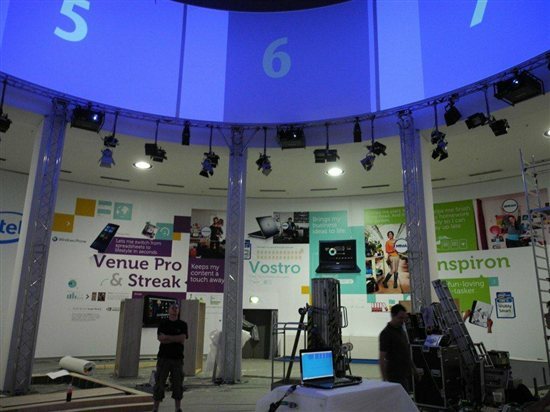 The Internationale Funkausstellung Berlin (IFA 2011) is just around the corner and as you might expect, Dell is going to be part of the action. For those of you who aren’t familiar with the show, IFA is one of the world's leading trade shows for consumer electronics and home appliances, held annually in Berlin, Germany. If you’re into mobile phones, digital entertainment, laptop or PC hardware, televisions, car technology, etc., you’ll probably find something new and exciting at IFA 2011. This year we will have our largest presence ever at IFA, with 11 interactive zones placing visitors at the heart of all activities, encouraging them to create, play and share with our strongest ever line-up of consumer products. From the thin and powerful profile of the XPS 15z, to the industrial design of our Alienware brand and playful personalization of the Inspiron R’s SWITCH by Design Studio lids, creativity and design will play an important role. On the booth, visitors will see first-hand what it’s like to be a member of our community of Design Studio artists by designing their own SWITCH lid. We will also have a ‘graffiti artist in residence’ on hand, creating a stunning floor-to-ceiling mural using 72 SWITCH lids! The gaming hub will be the perfect place to escape the crowds and have some fun. From ‘Angry Birds’ on the Streak 7 tablet and interactive touch games on the Inspiron One 23 to ‘Trackmania’ in the Alienware zone for the more serious gamer, we will have something for everyone to enjoy. We will also be hosting two Alienware “Game-off” competitions over the course of the weekend and an opportunity for visitors to play against professional gamers ‘Team Dignitas’. Music lovers will be able to lose themselves in Dell’s XPS and JBL audio booths and experience clear, pulse-pounding sound on a laptop like never before. For beats on a bigger scale, we’re working with Intel to rock the fair, bringing the online music discovery platform Noisey to Berlin with a live “IFA Special” concert on Saturday night. Great experiences are made to be shared so we will be showcasing how Dell’s latest integrated solutions make it quicker, easier and seamless to do so, including dedicated Skype booths showing visitors how easy it is to use webcams to stay in touch with family and friends. We will be demonstrating Dell’s Stage application with SyncUP powered by Nero that makes it easier to access everything you love including music, photos, videos, and synchronize it across your Dell devices – perfect for those looking to set up a digital home. If you’re in Berlin attending IFA, we’ll be in Hall 13 where you’ll be able to get your hands on the latest and greatest from Dell. For those of you who can’t make it in person, it’s very easy to track IFA news on the web. 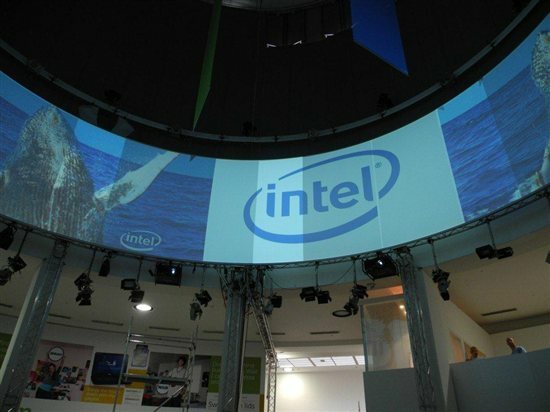 For Dell-specific IFA developments log on to the dedicated hub at www.DellatIFA.com, which should be live shortly. For on the floor updates follow @DellUK and keep up with the #Dell and #IFA hashtags where you can add your voice to the discussion. In addition, @MelDerome and I (@ellnm) will be tweeting live from Berlin. We’ll also be posting images on Dell’s Official Flickr page. For the journalists and bloggers reading this, we will be hosting a press conference on Friday, September 2nd at 9am CET. Aongus Hegarty, vice president and general manager of Dell’s Consumer, Small and Medium Business unit for EMEA, will present an overview of Dell’s Consumer strategy in EMEA, our new “More You” advertising campaign, and give a sneak peak at the latest additions to the ‘thin and powerful’ range. If you’re interested in attending, please get in touch with a member of our PR team.